The chairs that are in your dining room play a bigger role in design than you think. This Bycast side chair will not only enhance the look of your home with tufted seat back and slender tapered legs, but provide you exemplary comfort with the thick upholstered seat and back cushions. 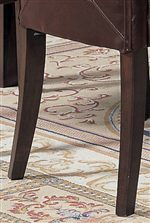 The slender tapered legs complete the design, giving the chair a touch of poise and elegance. 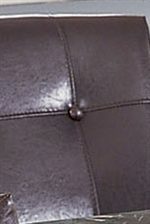 There is also decorative stitching on the back of the chair, making it beautiful no matter which way you are looking at it. 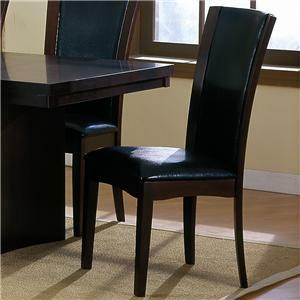 Pair this dining side chair with the coordinating table to achieve a complete composition for your home. 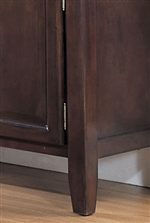 The 7058 Bycast Side Chair with Upholstered Seat and Back by Acme Furniture at Carolina Direct in the Greenville, Spartanburg, Anderson, Upstate, Simpsonville, Clemson, SC area. Product availability may vary. Contact us for the most current availability on this product.